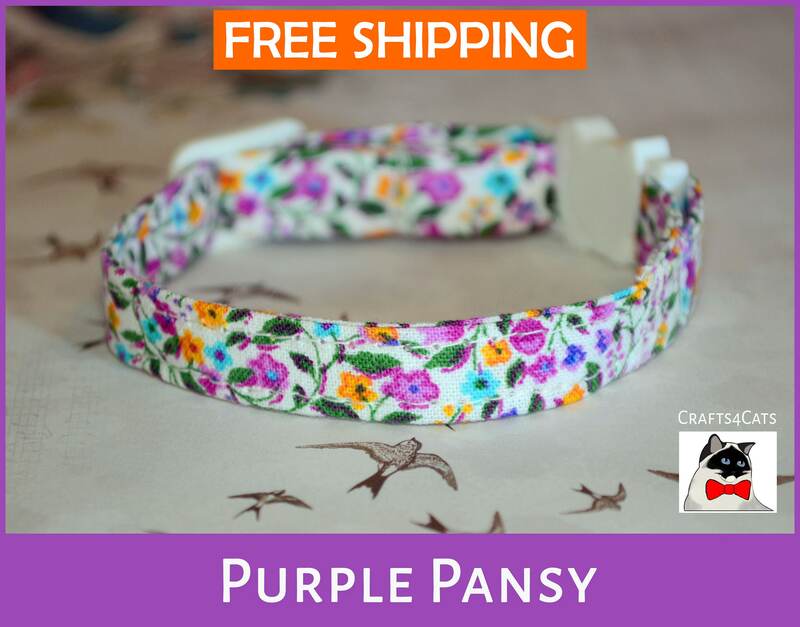 'Purple Pansy' (flower meaning 'Always Yours') cat and kitten collars are made from high-quality materials. 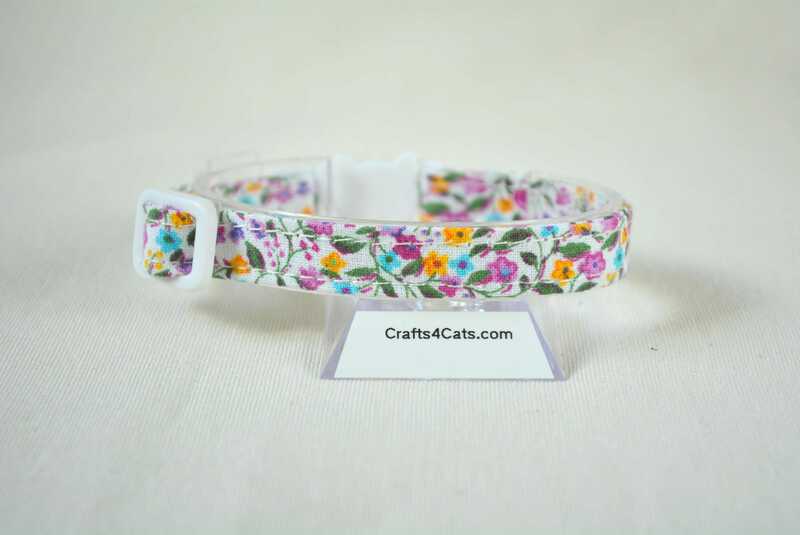 It is another fancy edition of Crafts4Cats 'The Gardener's Paradise' collars. They are lightweight but durable and comfortable at the same time - tested by my cats! If your cat has very sensitive neck, please let me know and I will sew on a felt lining inside of the collar. Please specify your desired maximum collar length during the checkout and also if you would like it to be adjustable (young cats) or fixed length (mature cats). 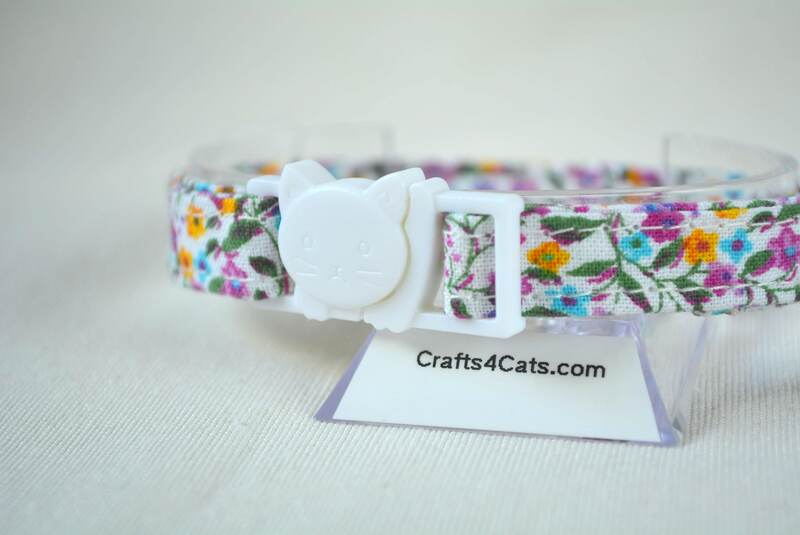 All collars and bows are designed & handmade entirely by me and are aimed for cats and kittens.